Police in Kazakhstan have detained a group of poachers they suspect of killing a ranger who had dedicated his career to protecting the endangered saiga antelope. An Interior Ministry spokesman said on January 21 that the three men they believe murdered 52-year-old Yerlan Nurgaliyev were taken in custody in the southern city of Kyzylorda. During routine inspections in the central Karaganda region last week, Nurgaliyev and his colleague Petr Nitsyk detected the bodies of five saiga that had been killed by hunters. They determined that poachers traveling in two off-road vehicles were nearby, so the pair took chase. When Nurgaliyev and Nitsyk confronted the outlaw hunters, they were savagely beaten. Nurgaliyev suffered serious injuries to his skull. Nitsyk sustained stab wounds and a broken jaw. The suspects then stole the keys of the rangers’ vehicle, restricting their ability to seek assistance. Rescuers only found the rangers several hours later. Nurgaliyev was admitted to a hospital in the capital, Astana, in a coma, and died of his injuries two days later. He had served for 25 years in the police before taking up a job in wildlife protection. 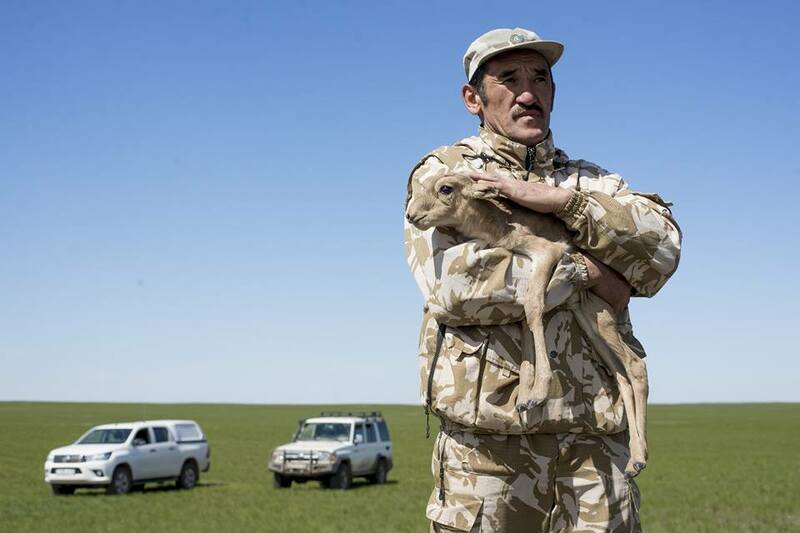 Photographer Ospan Ali, who photographed Nurgaliyev in the spring, described the late ranger in a Facebook post as an extraordinarily kind man who had shown devoted care to the wellbeing of animals. The saiga, an animal much-loved for its distinctive and quirky appearance, is designated as critically endangered on the International Union for Conservation of Nature’s Red List of Threatened Species. Authorities in Kazakhstan have struggled, however, in their rearguard battle against poachers who hunt the animal for its horns, which some people believe possess medicinal properties. The fortunes of the antelope have also been gravely compromised by a spate of huge and mysterious die-offs. In May 2015, around 60 percent of the population succumbed to an epidemic whose root cause remains subject of debate. The majority consensus, however, is that the probable cause of those deaths was hemorrhagic septicemia. This disease, which scientists believe was rapidly spread across the steppe by ticks, is a form of pasteurellosis, an illness that killed nearly 12,000 saigas in a 2010 epidemic. There are no reliable estimates for the size of the global population. The antelope also roams remote areas of Uzbekistan, Turkmenistan, Mongolia, and Russia, but Kazakhstan has by far the world’s largest numbers.